We, the undersigned, express our deep concern at the Prime Minister’s recent decision to order a “review”, looking into the Muslim Brotherhood’s activities in Britain and abroad. We believe that the process and terms of the review represents a risk to British liberties and could further erode human rights standards. We are concerned that this review is the result of pressure placed on the British government by undemocratic regimes abroad, such as Saudi Arabia and the United Arab Emirates. It is not acceptable that any autocracy attempts to limit the lawful activities of any group in a democracy. The Prime Minister risks setting a dangerous precedent. The review, to be conducted by the British Ambassador to Saudi Arabia, comes at a time when the Muslim Brotherhood, victors in Egypt’s only free election to date, is being subject to the most ferocious repression by the military regime. With hundreds of Egyptians killed, over 1000 sentenced to death in farcical “trials” and tens of thousands languishing in prisons, the British government remains largely silent. 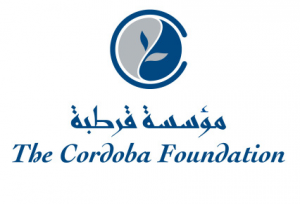 The Cordoba Foundation is headed by Anas Al-Tikriti,, the son of Osama Al-Tikriti, one of the leaders of the Iraqi Islamic Party representing the Muslim Brotherhood in that country. In addition to his role at Cordoba, Al-Tikriti is one of the leaders of the British Muslim Initiative (BMI), part of the U.K. Muslim Brotherhood. The Muslim Association of Britain (MAB) had for many years been the most active organization in the U.K Muslim Brotherhood but many of the leaders of the MAB left in 2007 to form the BMI. According to an Israeli think-tank report, the breakup appeared to be the result of a conflict between traditionalists in the MAB who were unhappy with the high level of involvement in U.K left-wing politics while those who formed the BMI wished such activity to continue.In January, we reported that Al-Tikriti, who once supported the Iraqi insurgency against the US, had apparently been part of a White House meeting with an important Iraqi leader and where President Obama made a brief appearance. The GMBDW reported in April that that Prime Minister David Cameron had ordered an inquiry into the activities of the Muslim Brotherhood in the United Kingdom.